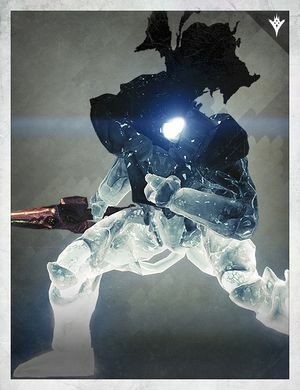 Krathoor is a Taken Knight sometimes encountered during a Taken Blight Patrol mission in the Shrine of Oryx. He can be summoned if all of the Taken are killed in a timely manner, the countdown unknown. No special rewards are gained by killing him except an increase in Reputation gains. Krathoor is actually the Taken version of Sardok, Eye of Oryx.